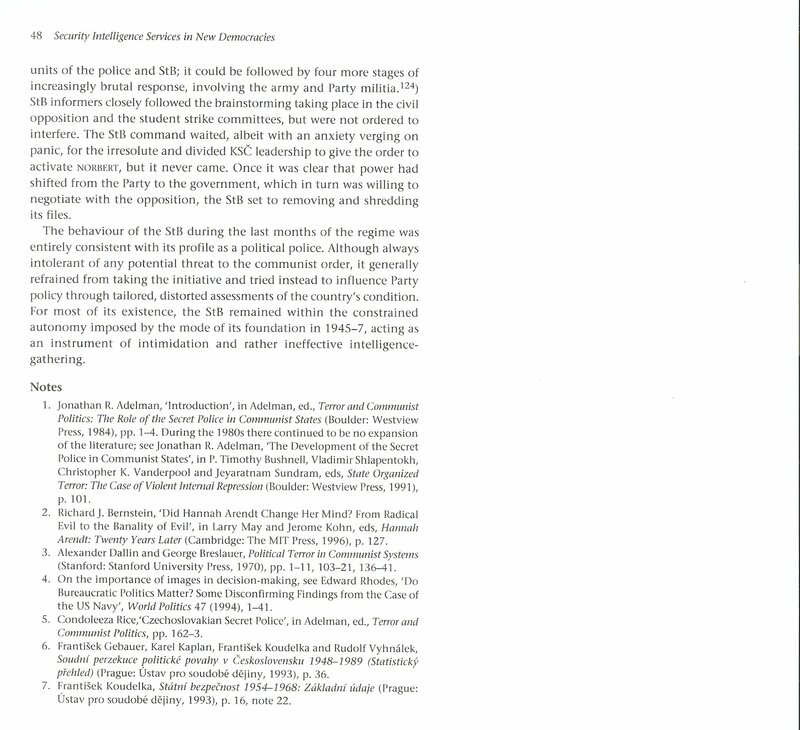 Dr. Larry L. Watts’ argument that the Soviet agents (KGB, GRU, etc.) 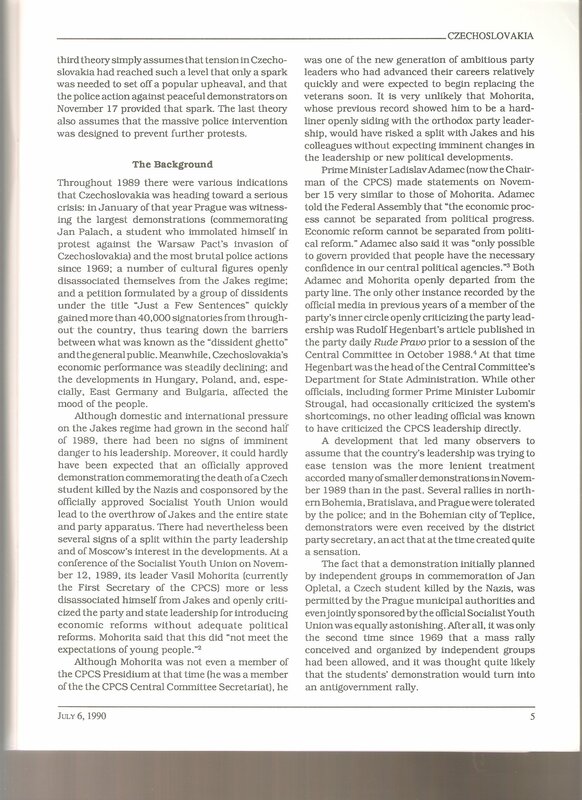 posing as “tourists” were directly involved in the overthrow of Nicolae Ceausescu’s communist Romanian regime in December 1989 has parallels in the historiography of the collapse of communism elsewhere within the countries of the Warsaw Pact, most notably perhaps, the former Czechoslovakia. 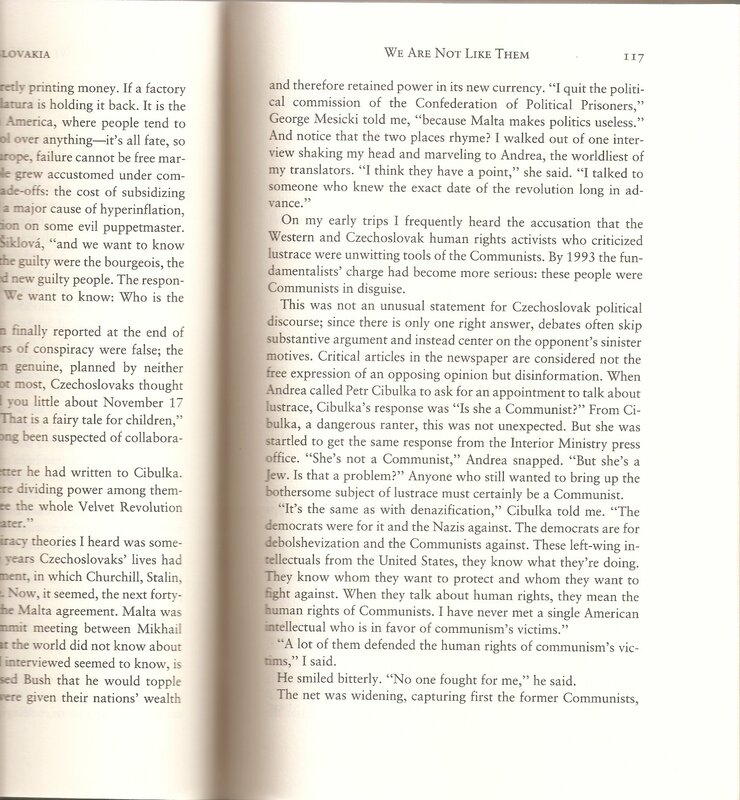 Watts never addresses if he believes Romania was part of a similar process that took place in other countries or whether it was unique in the events of the bloc in the fall of 1989. 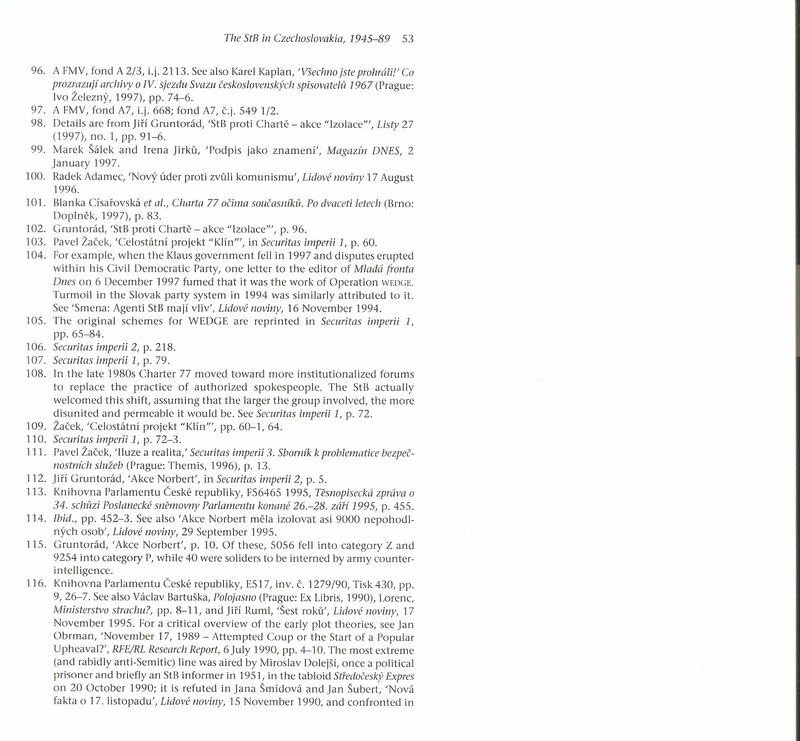 I first explored the question of the similarity in the historiography of the Romanian and other cases in my Ph.D. dissertation from which I reproduce the fragment below. 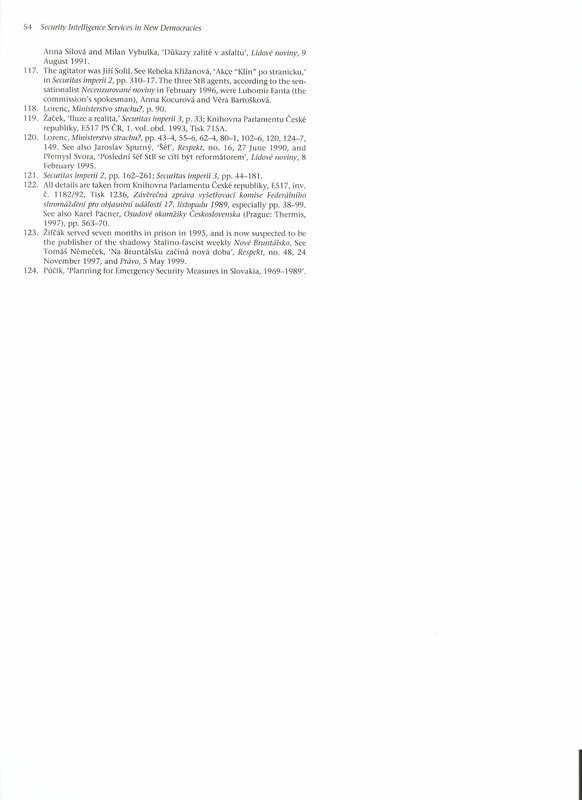 My main exposure at the time for the other cases was Tina Rosenberg’s 1995 The Haunted Land, especially for the Czechoslovak case, xeroxes of which I append below. 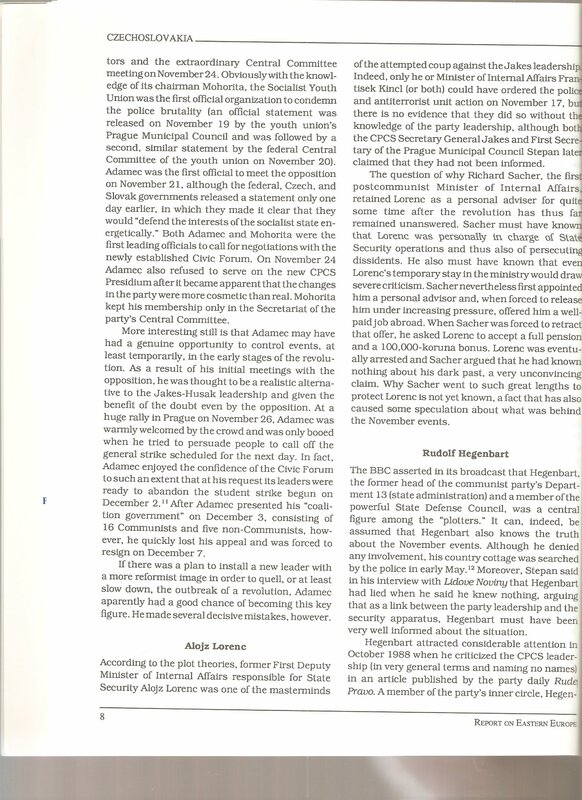 Romanians and Romania specialists should have the strange sensation of a feeling of deja vu in reading about Czechoslovakia in November 1989! 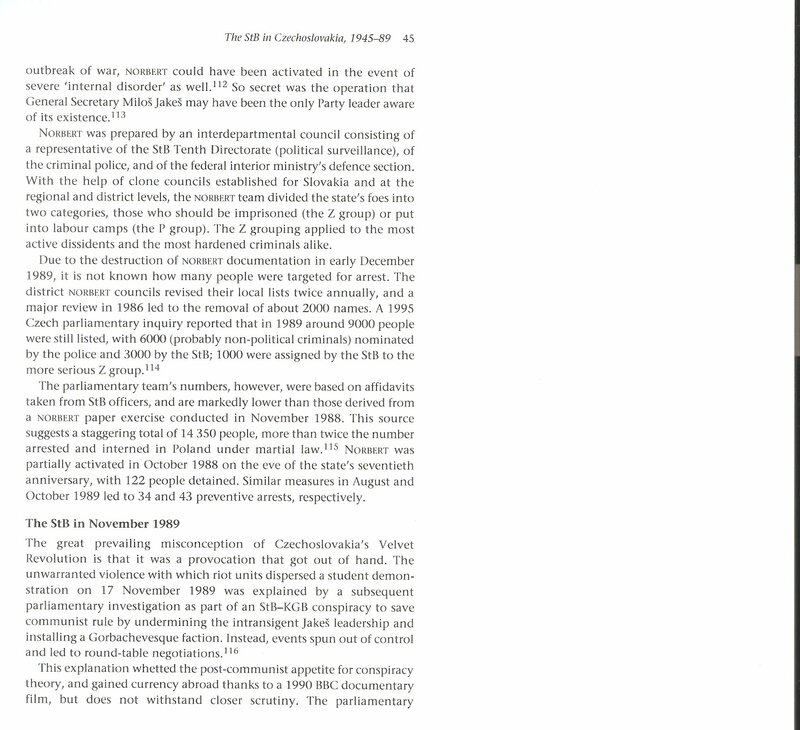 Much of the revisionism in the Czechoslovak case appears to date from the period of May-June 1990. 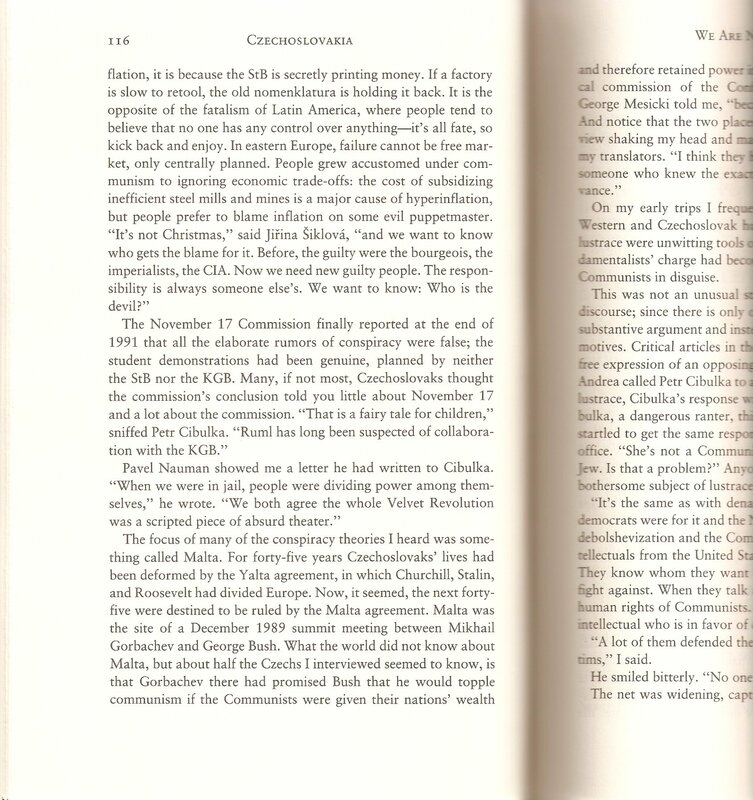 A key role in the revisionism appears to have been a BBC documentary by John Simpson “Czech-mate” shown on 30 May 1990 where the emerging revisionist counter-narrative in Czechoslovakia got a Western platform and legitimation. It is not without irony, that it should be the same John Simpson whose documentary on Romania in 1994–“10 Days that Fooled the World”–should also relay a domestically-voiced conspiracy theory alleged a Soviet-engineered coup d’etat in the dying days of 1989. Or that, Susanne Brandstatter’s 2004 conspiratorial documentary about the Romanian case…should intentionally or unintentionally be called…”Checkmate”! Unfortunately, although both “10 Days that Fooled the World” and Brandstatter’s “Checkmate” can be watched online, I have been unable to find an online copy of Simpson’s 1990 “Czech-mate.” Here, however, is an LA Times article discussing the film. 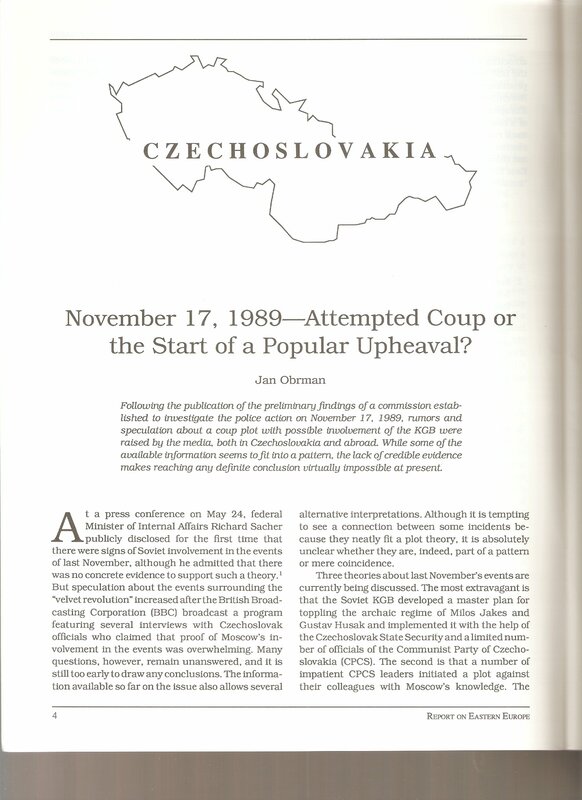 Czech Revolution: A Secret Police Plot? 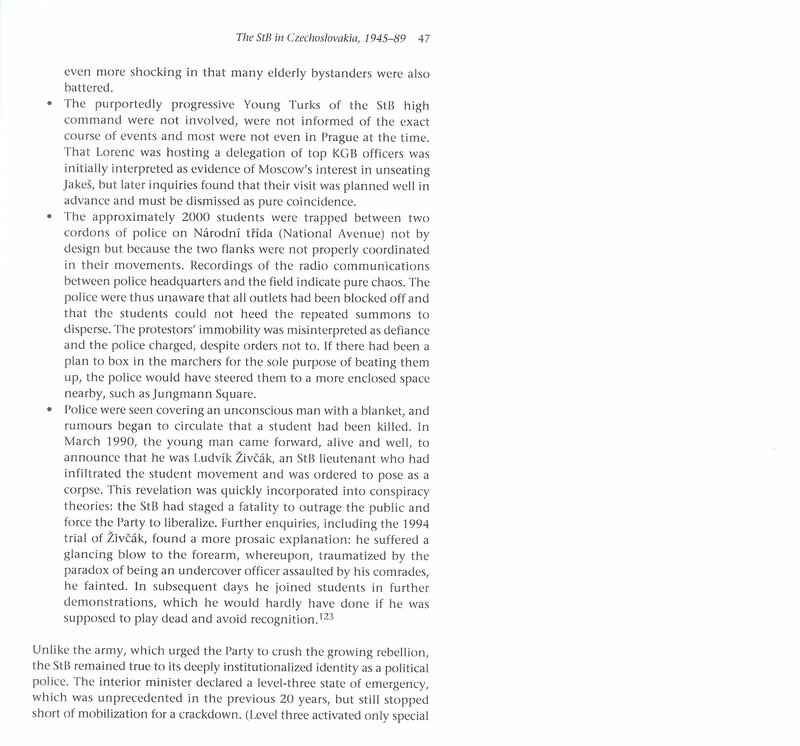 : Intrigue: The BBC says leaders of the KGB and its Prague counterpart engineered the uprising ending Communist rule. LONDON — The peaceful revolution that swept away Communist rule in Czechoslovakia six months ago was engineered jointly by leaders of the secret police in Moscow and Prague, the British Broadcasting Corp. has reported. A BBC television documentary contends that secret police leaders in both the Soviet Union and Czechoslovakia conspired to bring down the hard-line Communist leadership in Prague because it rejected Mikhail S. Gorbachev’s reforms in the Soviet Union. 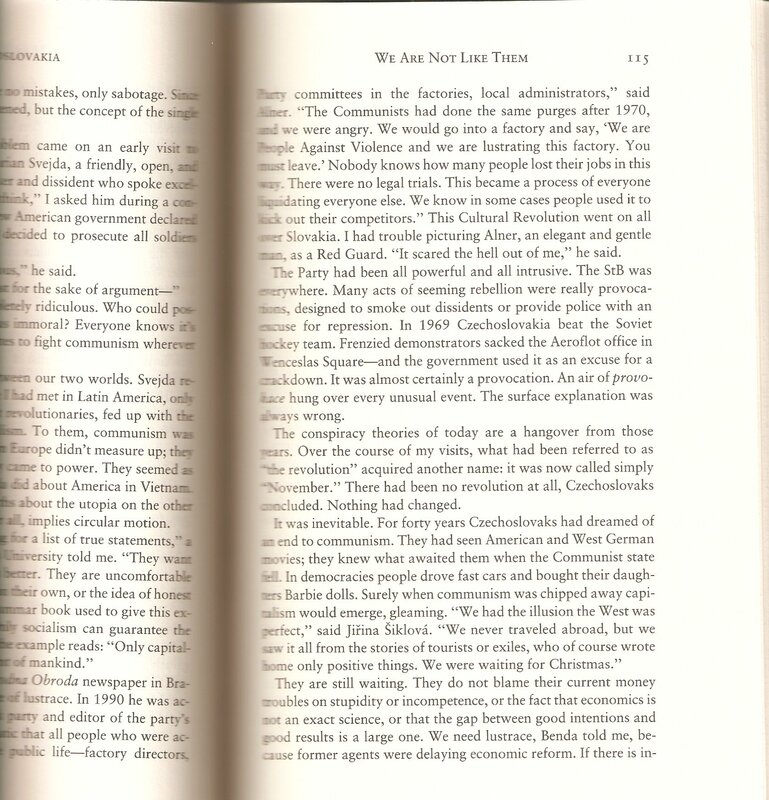 The plotters planned for more reform-minded Communists to replace the hard-liners but miscalculated the depth of public desire for change, said John Simpson, the BBC foreign affairs editor. The 50-minute news program, “Czech-Mate: Inside the Revolution,” was broadcast on BBC-TV late Wednesday. According to the broadcast, Milan Hulik, an investigator for the Czechoslovak parliamentary commission probing the plot, said that is not yet known if the revolution was instigated by the Czechoslovak secret police or the Soviet KGB. The plotters on the Czechoslovak side are now under investigation and some are in prison, charged with misusing their positions as public officials, while a parliamentary inquiry into the plot continues, Simpson said. Simpson said the spark that ignited the Czechoslovak plot was the erroneous report of a death of a youthful demonstrator during an officially sanctioned march in Prague on Nov. 17. The demonstration was held to mark the 50th anniversary of the murder of a Prague student by Nazi troops in 1939. 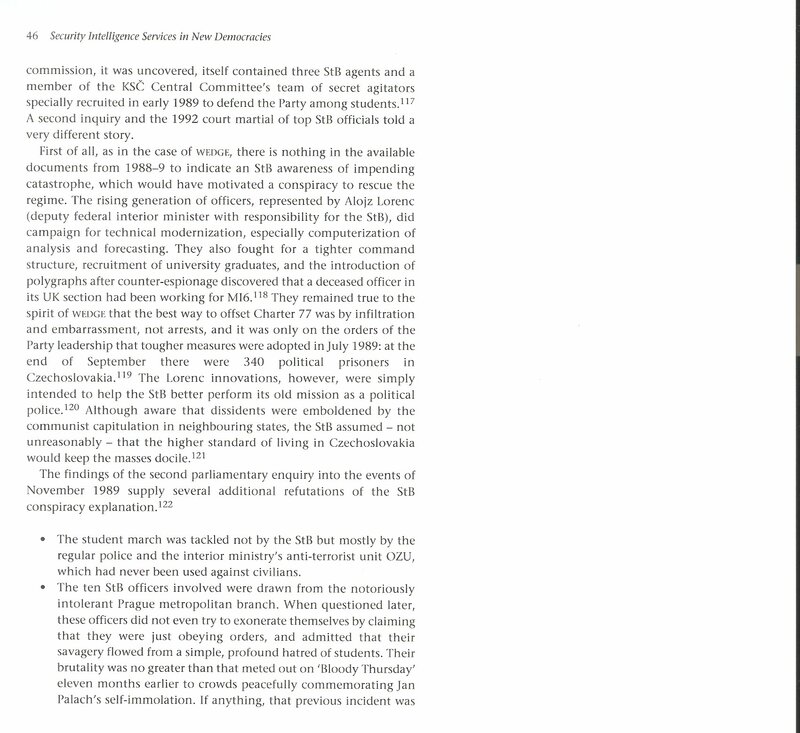 The plotters believed that a death during the November commemoration “would provoke a hostile reaction,” Simpson said. According to the BBC report, several thousand young demonstrators were lured into a narrow street leading to Wenceslas Square by Lt. Ludek Zivcak, a secret policeman who had infiltrated the student movement. The documentary showed a photograph of Zivcak apparently urging the marchers to take the narrow street that had not been part of the original route of the demonstration. Once in the street, marchers were hemmed in by police and brutally beaten. About 560 people were injured. Zivcak fell to the ground, his body was covered with a blanket and an ambulance took the body away. The event sparked rumors that riot police had beaten to death a student named Martin Smid. In the days that followed, people poured into Wenceslas Square in the heart of the capital to mourn the death. And the protests continued to grow. Demonstrations continued even after the only two students named Martin Smid at Prague University were shown to be alive. The protests finally brought about the downfall of hard-line President Gustav Husak’s government, the creation of Czechoslovakia’s first non-Communist government in 40 years and the election as president of playwright Vaclav Havel, the country’s best-known opposition figure. 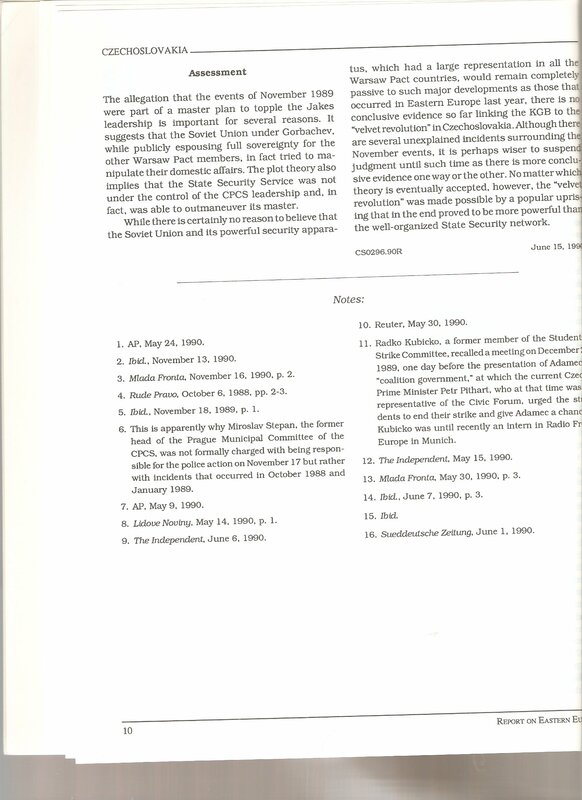 Simpson said the chief plotters were the Czechoslovak secret police chief, Gen. Alois Lorenc; the KGB head in Prague, Gen. Teslenko (first name not given), and KGB deputy chairman Gen. Viktor Grushko. He said the plotters monitored the Nov. 17 demonstration together in Prague and that Grushko returned to Moscow the next day. The plotters’ candidate to replace Communist Party chief Milos Jakes was Zdenek Mlynar, who had been a leading figure in Alexander Dubcek’s doomed reform government in 1968. Mlynar, a friend of Gorbachev when they were law school students together in Moscow, had been purged by his own Communist leaders in 1969. But Mlynar did not want the job when it was proposed to him, the BBC said, and Havel and his non-Communist Civic Forum were ushered into power by popular acclaim. 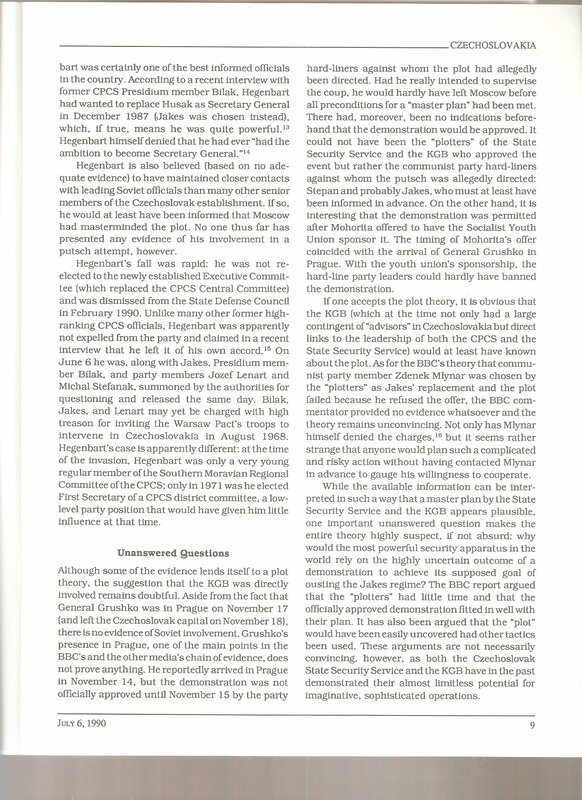 Dr. Kieran Williams clarified some of the important contextual information behind those who in 1990 birthed and circulated the revisionist counter-narrative on the Velvet Revolution: people who had collaborated with or been compromised by the former Czech security services, the StB (see especially fn# 116 and 117 below concerning Miroslav Dolejsi and the three alleged StB agents on the original parliamentary commission). 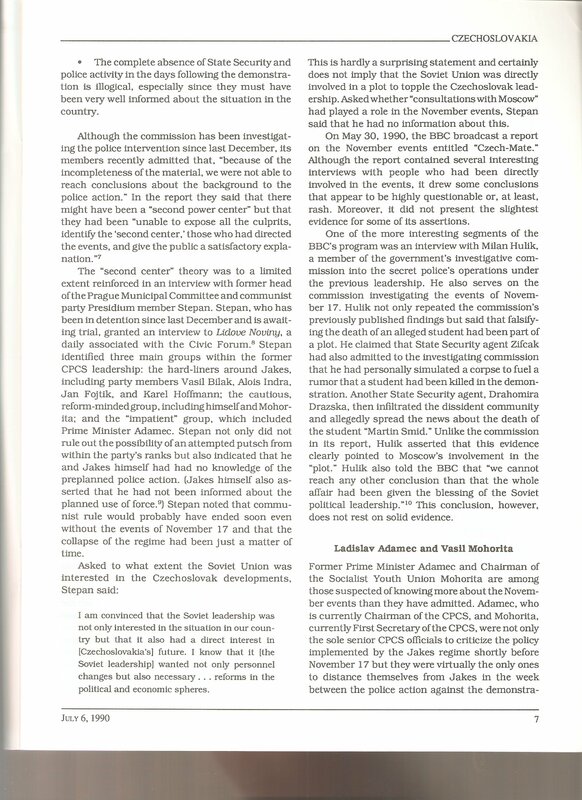 An obvious parallel with the Romanian case seems appropriate here, since in Romania it was former Securitate officials and collaborators who spread the theory of Soviet “tourists” and a KGB coup in 1990-1991. 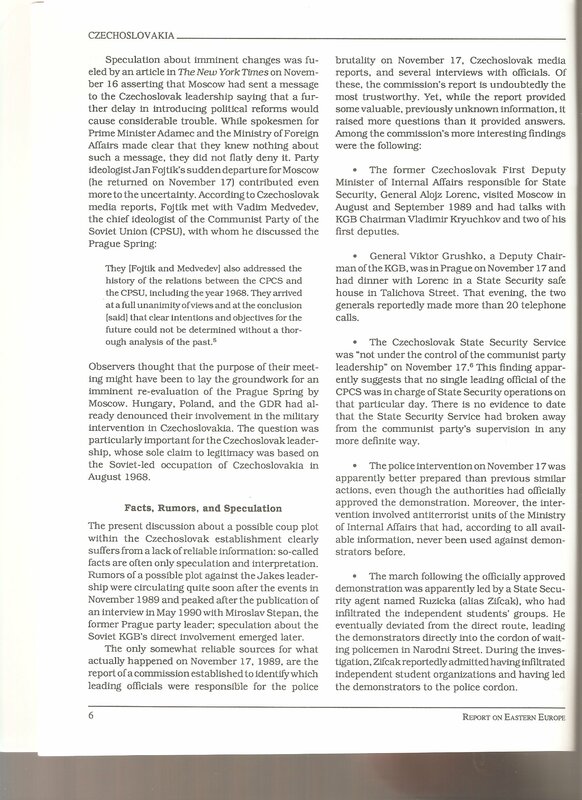 By blaming an outside and resented force, the Soviet KGB, the local security services are absolved from repressive intentions and actions and their behavior during the revolutions of 1989 can be interpreted as either innocuous or actually progressive in playing a role that ousted the former totalitarian regime.